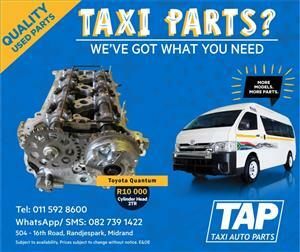 TAXI AUTO PARTS (TAP) we strip Toyota Quantum, Nissan NV350 Impendulo, Mercedes Sprinter and more to sell quality used taxi spare parts. 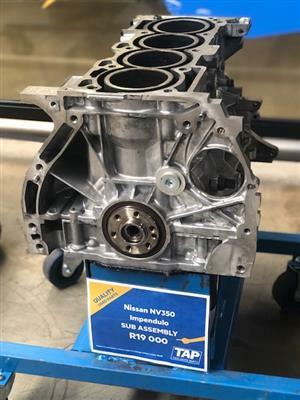 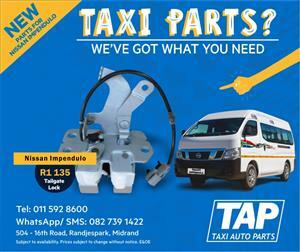 New replacement parts for Nissan Impendulo and Toyota Quantum. 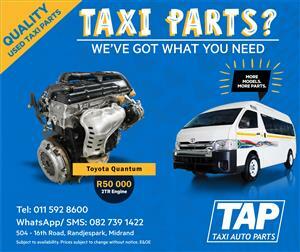 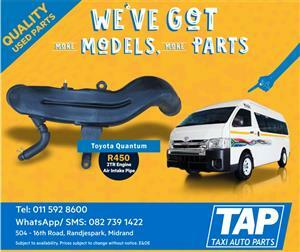 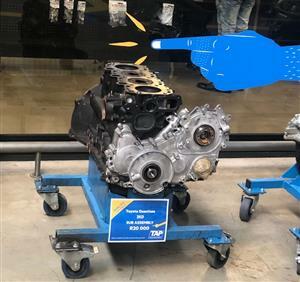 Biggest selection of quality used Toyota Quantum Parts in South Africa! 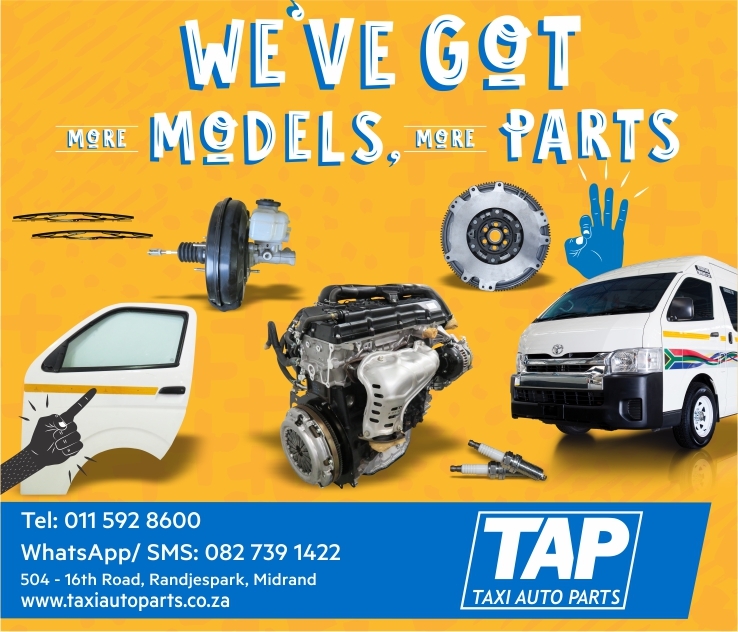 From 24th December & re-open 2nd January 2019. 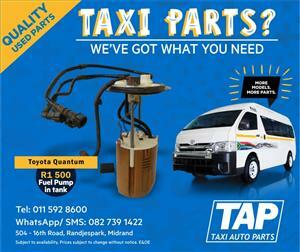 No cash accepted on site. 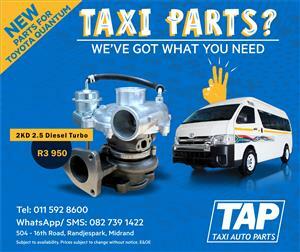 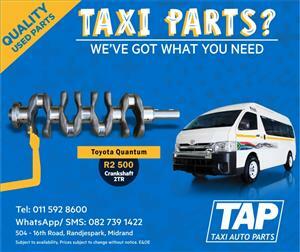 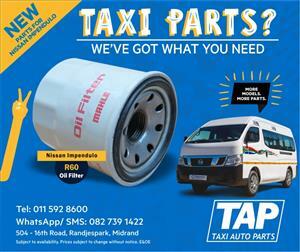 Based in Midrand, Gauteng TAP is easily accessible and we have all the parts to get you back on the road.